You can now also optimize tooth flank and tooth profile modifications for bevel gears. Options, such as calculating the cross-variations of values and coefficients, and functions for classifying each solution with reference to different criteria and displaying the results as a graphic, all provide an excellent basis for assessing the potential for optimization. You can also optimize topological modifications in KISSsoft (Modules ZC13 and ZC33). 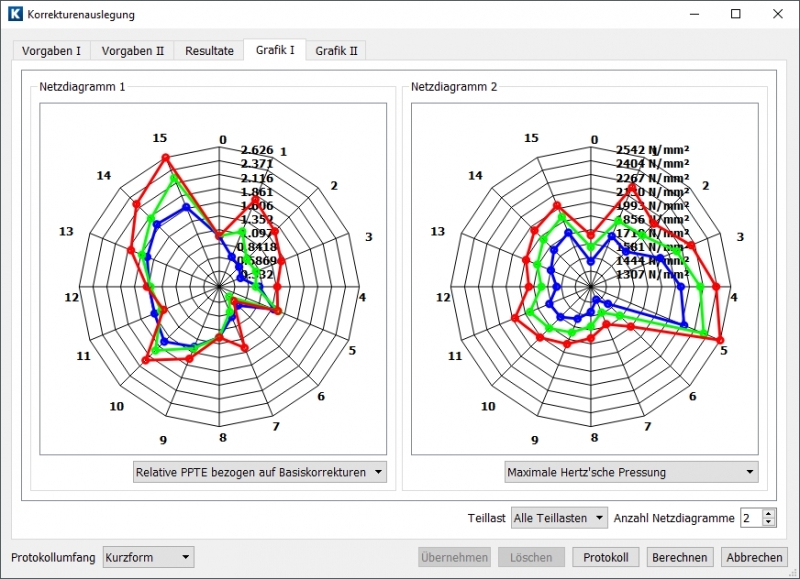 Join our specialized training Contact Pattern Analysis for cylindrical, bevel and planetary gears + Workshop, June 12 – 14, 2018. Please register here.